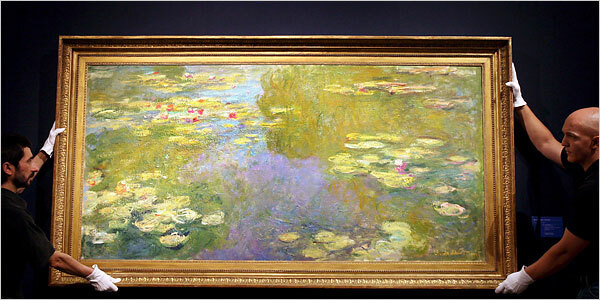 A record price for a Monet, $80.4 million, was set for one of the rarest of his waterlilies yesterday at a Christie’s auction. The previous record for a Monet, $41.4 million for “The Railroad Bridge at Argenteuil,” was set last month at Christie’s in New York. via NYTimes, read the entire article there. This entry was posted in Art, Motherlode.